RAW Glass Crutches for Classier Rolling! 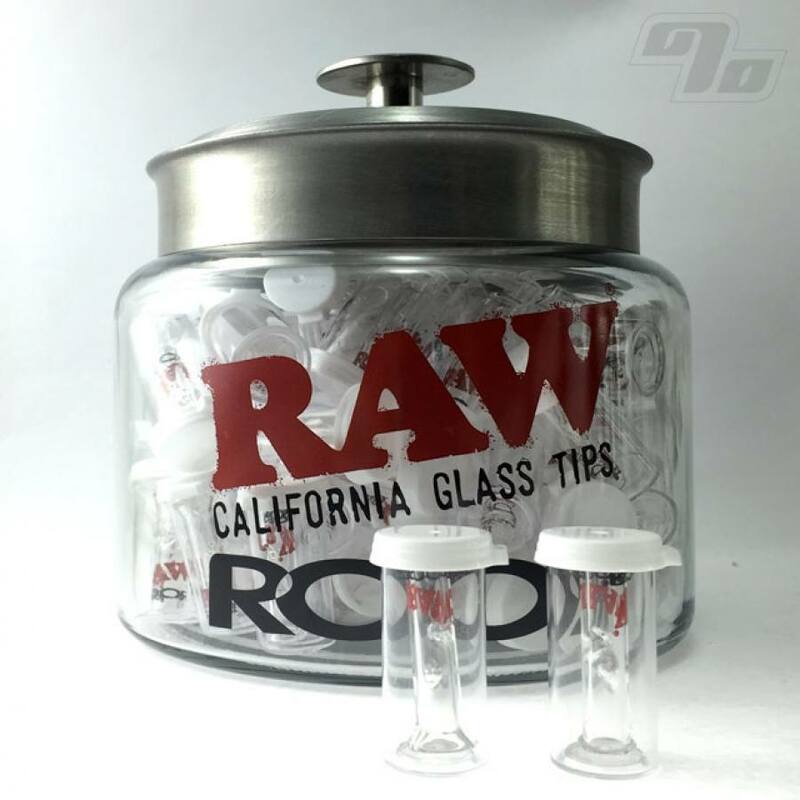 The RAW + Roor Slim Glass Filter Tip is a glass version of the paper crutch/filter tip. Flat tip version if that's what you prefer. Keeps material out of your mouth, keeps the end of the joint from getting soggy and makes it a tiny bit easier to roll the perfect joint as well. Not to mention a glass filter tip in the end of your smoke is just about as Classy as it gets. This Rawthentic Phuncky Feel Filter Tip is a collab between RAW Rolling Papers and Roor Glass and works with any size rolling paper though bigger is always better. Same guys who brought you the Cypress Hill Phuncky Feel Tips with RAW styling. Approximate size of each slim filter is 3 1/8 inches tall and 1/3 inch in diameter. If already rolling your own with the Quintessential Hemp coated filter tip definitely give these glass tips a try for the special occasions. 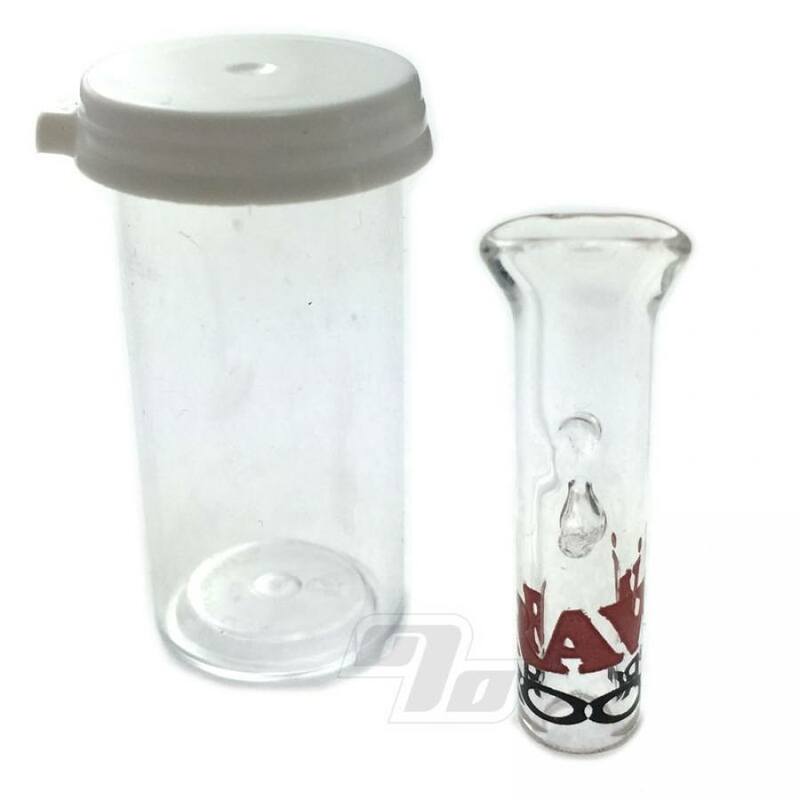 This flat glass piece is great for any smoker. The design is perfect and lets for good hits. I'm going to pick up a few more for friends because they loved it. Buy this if you want quality from RooR.